Buy OGA 7761Oglasses online today at a friendly price. Originally made in 2015, OGA 7761O glasses are lightweight metal frames. They are comfortable to wear and are designed in signature Oga glasses frame style. Each pair of these authentic Oga glasses ships worldwide with a Oga glasses case and a cleaning cloth. After the order is placed, glasses OGA 7761O will be packed and shipped to you via fastest shipping method to your location. Please note that when buying eyeglasses online that were manufactured in more than one size, you need to be attentive, especially if you are buying eyeglasses frames for replacement. Prescription lenses from old frames will only fit when the size matches. Size is written on glasses temple or sometimes on inside the nose bridge. Size does not matter if you are buying OGA 7761O with prescription lenses. About Manufacturer OGA glasses are made by French eyewear manufacturer Morel-France. OGA brand has a long history of delivering excellent quality men eyeglasses that look upscale and not too flashy. If you find that big brand logo looks tacky on the eyeglasses, OGA is right glasses for you. 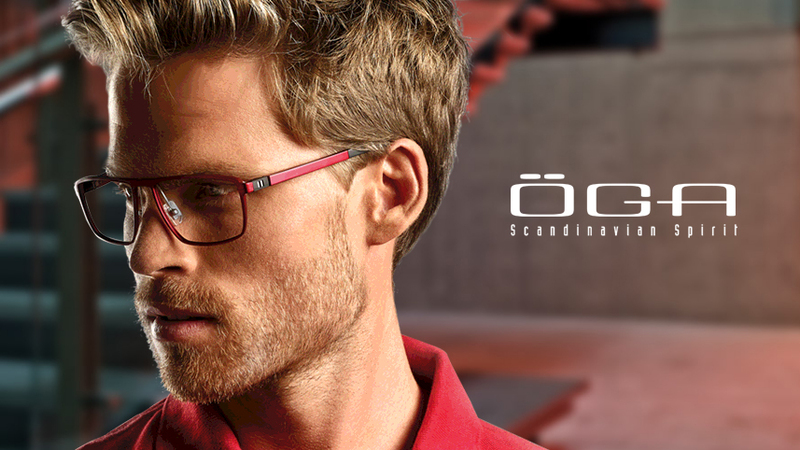 OGA glasses look very high end due to their detailed assembly and high-quality materials. But they don't look tacky because OGA is a niche brand for men and woman in business that have good taste and prefer an elegant look.